All our products are made using only the finest 6-star certified pure organic essential oils. We do not use synthetic analogues, nature identical oils or synthetic aromas. Our oils are pure, powerful plant extracts that can help you get back in touch with the healing power of nature and experience all the benefits of aromatherapy. 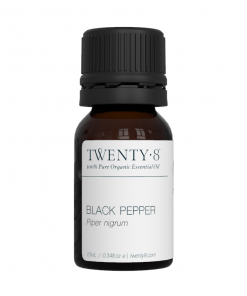 This strong, warm peppery oil is known for its analgesic and antiseptic properties. May assist with colds, flu, sore joints and muscles, bruises, emotional weakness, digestion. A very grounding oil that has soothing and harmonising qualities. May assist with eczema, oily skin, cystitis, dandruff, stress, tension and anxiety. German chamomile is very similar to Roman chamomile with a more medicinal accent. May assist with mental inflammation, arthritis, dermatitis, muscle pain, hay fever, skin problems, period pain, anger and frustration.